Epoxy garage floor coating is becoming the hottest trend for homeowners around the country. Garage epoxy has a long list of benefits that is attracting a lot of attention from homeowners who want new designs in their homes. Epoxy flooring can take a boring, broken, and stained floor and turn it into a strong, glossy, and resilient surface made to last for decades to come. Are you ready to jump on the trailblazing trend? WHERE IS EPOXY FLOORING INSTALLED? A residential epoxy floor installation here in Tulsa is one of the best flooring solutions in the industry. Epoxy floors are safe, durable, and cost-effective options for many different industries and spaces that handle various amounts of foot-traffic and machinery. 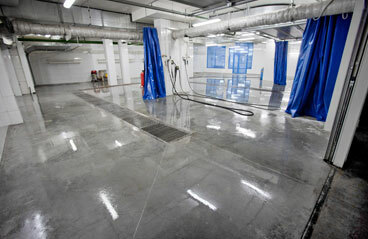 Hospitals are popular places where epoxy is found because of how easy it is to keep clean. We serve many different purposes and would love to discuss your needs and options so give us a call today to get started. WHAT ARE THE BENEFITS OF RESIDENTIAL EPOXY FLOORING? 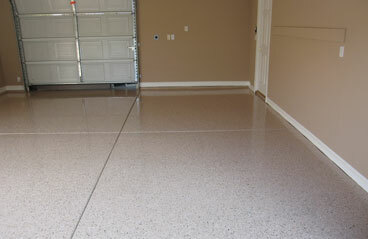 A garage floor epoxy is one of the strongest, resilient, and beautiful floors you can install in your garage. Unlike other flooring systems, epoxy floors offer a variety of different colors, designs, and textures that allow you to design your garage with any vision you have. Garage epoxy floors have unmatched characteristics and at amazing prices. Whether it’s the snowy seasons or it’s hot and humid outside, your epoxy floor can handle it, and won’t be damaged by everyday use. Salt, rain, snow, and water are natural elements that can wear floors quickly, forcing you to have to keep up a regime of thorough cleaning or seasonal replacement, however, epoxy floors eliminate all of that hassle. The garage epoxy coating resists any water or salt penetration beyond the surface keeping your concrete safe. When professionally installed by garage epoxy floor contractors, your floors are more durable than any other garage flooring on the market. Why? Because epoxy flooring binds to your concrete creating a layer of separation between your concrete and outside elements that could damage it. By mixing hardeners and resins, you are creating a layer that is resistant to cracks, chipping, abrasions, water and chemical damage, stains, and oil damages. If your garage is showing its age, then an epoxy garage coating is the answer you’re looking for. When you’re given the choices between strong and pretty, which one do you choose? With epoxy floors, it doesn’t matter because you don’t have to choose. Not only are your floors incredibly durable, but they are also extremely elegant and beautiful. Having the opportunity to design your floors with any pattern, design, texture, or layout that you want without sacrificing the quality of your floors is amazing and we love to offer those services. With a glossy finish and durable surface, you can’t go wrong with an epoxy garage. Keeping a garage floor clean has never been easier. The epoxy coating keeps everything on the surface and blocks any debris from penetrating. Concrete is naturally very porous and can quickly deteriorate if not treated properly; however, epoxy garage flooring keeps those harmful substances from damaging your concrete. Sweeping your floors on a daily basis is highly encouraged to keep any debris that could damage the top coat but deep cleaning with harsh chemicals needs to be discussed with one of our professionals. 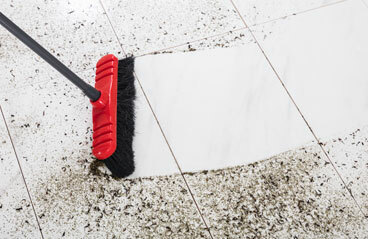 Hard scrubbing and cleaning can damage the epoxy floor and is only recommended on rare occasions. Epoxy coatings are the most affordable systems that outlast any other floor you would think about installing. Between $3-$12 per square foot you are looking at a lifespan of 20 plus years from your epoxy garage. The longevity and durability of these floors outweigh already affordable costs. When you choose an epoxy garage flooring system, you are doing your part for a greener planet. Instead of ripping up your old slab of concrete you are allowing it to be revitalized and extending its lifespan. Some epoxy flooring systems are even recyclable. 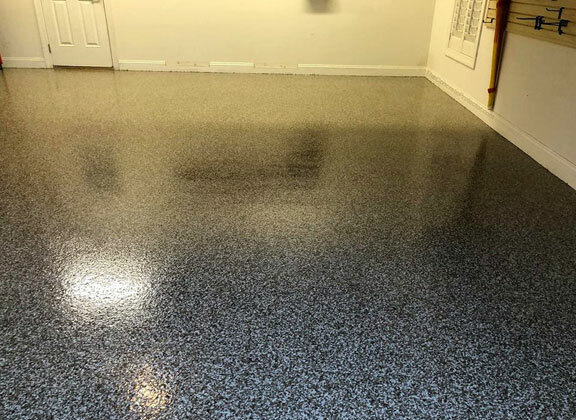 Furthermore, your vehicles and machinery are well taken care of when an epoxy garage floor is installed because of the smooth and forgiving finish. 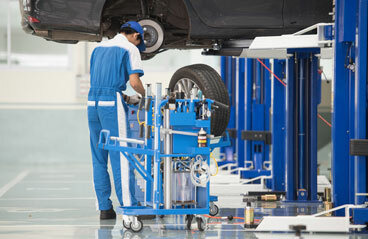 The coating is softer on wheels and tires which lowers the cost of machinery and replacements. With a beautifully elegant and glossy finish, your floors will deem any garage extraordinary. These floors are one of a kind with unique designs under the shiny new coating. This coating does an amazing job in properly reflecting light which improves even the worst garage lighting. 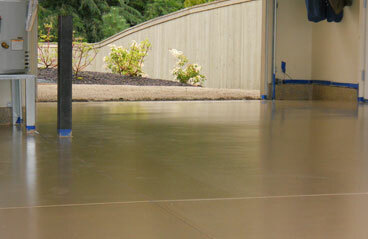 Preparing your concrete you an epoxy coating is quick and simple. When the concrete is examined, cleared, and cleaned the process can then begin. All of which can have you back to using your concrete in an average of 24 to 48 hours.